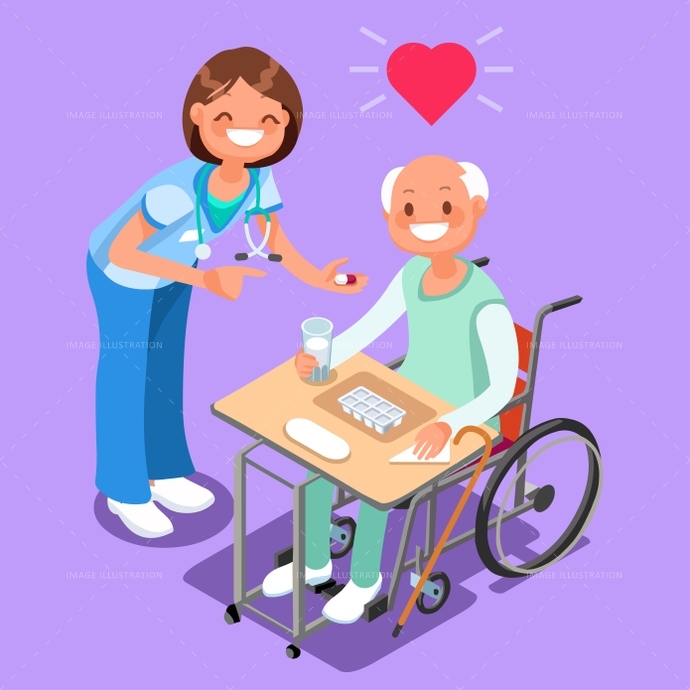 Stock images detailed vector illustrations - Vector Cartoon Collection - Nurse with Patient in Hospital Isometric People by Aurielaki in EPS AI JPG. SKU: Nurse-with-Patient-Hospital-Isometric-People-Cartoon-Vector-AurielAki. Categories: Isometric Character, Nurse Cartoon. Tags: 3d, abstract, admit, admitted, background, concept, convalescence, disease, doctor, drug, elderly, exam, female, flat, geriatrics, girl, happy, Hospital, hospitalization, illness, infographic, interior, isometric, male, man, nurse, old, patient, people, pills, recovery, room, safety, smile, smiling, station, stay, stethoscope, taking, team, template, vector, wheelchair, woman, Working, young.